They say Diamonds are a girl’s best friend. In this case your skin’s BFF and beauty buffer is the Diamond Tip micro-dermabrasion treatment, a guaranteed dull-buster and gloss booster! The process involves a gentle application of diamond-coated tips for skin polishing. 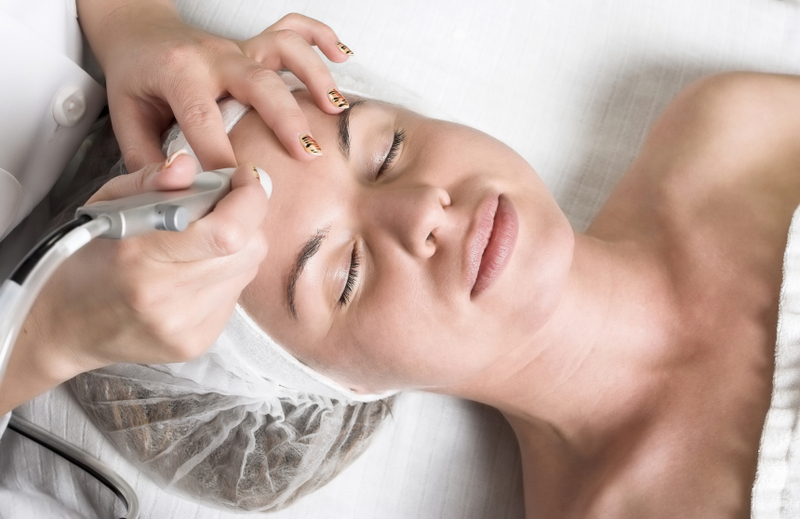 Unlike AHA’s glycolic and other chemical acid peel treatments, this technique is NON-INVASIVE and respects the skin’s integrity with “no down time.” MICRO-DERMABRASION mechanically alters the epidermis and re-invigorates Collagen III (found only in young skin and wound healing process in adult skin). This is the skin’s natural cutaneous response to produce and activate a desired “plump” effect, noticeably improving the health and beauty of the skin. A series of 4-6 sessions, once a week or 10 days apart, depending on individual analysis and monthly maintenance thereafter. *FDA approved non-surgical, dry exfoliation skin treatment.